In the winter, one of the most important export products for France is the cauliflower. It is exported mainly to other European countries. 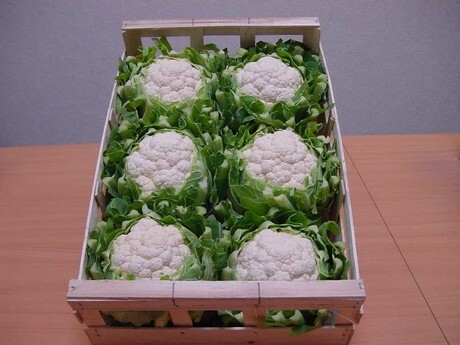 The Gosselin Group ships and exports wholesale vegetables, and their cauliflowers can be found on the markets of Germany, Great-Britain, Switzerland, Italy, Spain, Portugal, Poland and the Czech Republic. 84% of the French cauliflowers are produced in Brittany. Another 5% is produced in Normandy. The Gosselin Normandie company specializes in those Breton and Norman cauliflowers, which are very different from the ones cultivated in southern Europe. “The French cauliflower weighs more, thanks to the colder climate and the clay-loam soils found in northwestern France,” explains Nicolas.